dad on a mission to feed his family good, healthy, food! 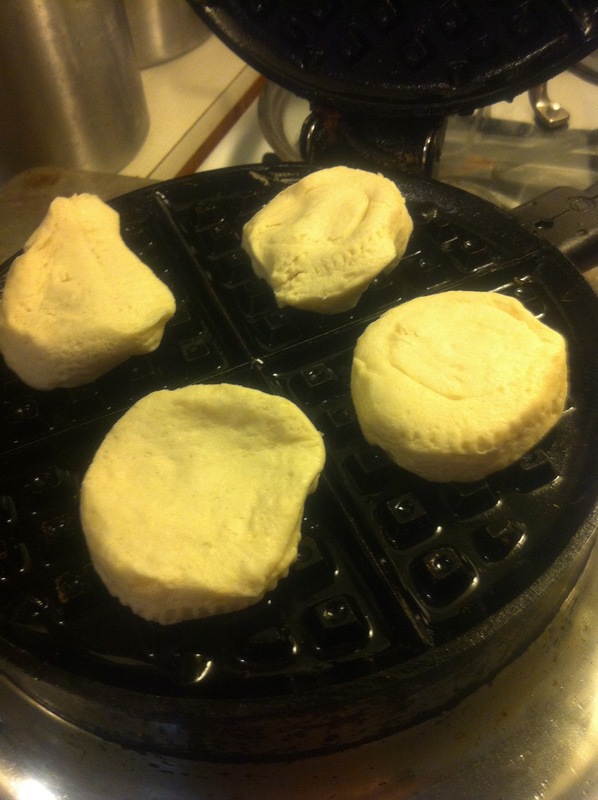 I saw a post on Pinterest where they waffled canned cinnamon rolls, and I thought I ‘can’ do that! HA! 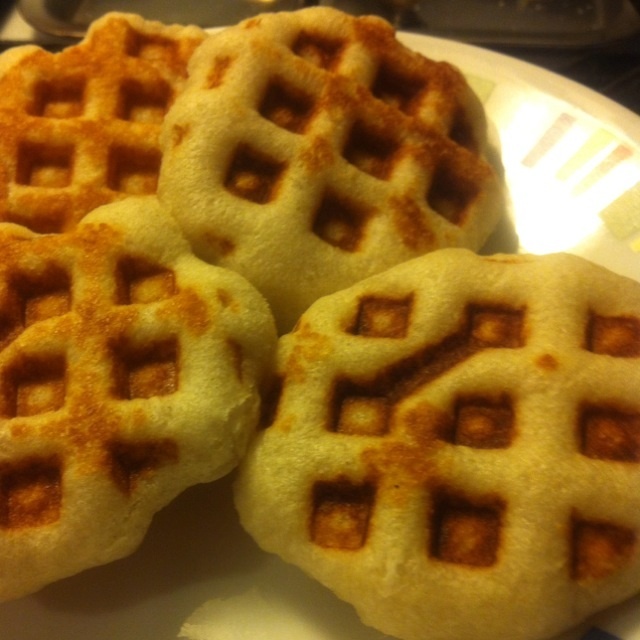 http://ahensnest.com/2011/09/waffled-cinnamon-rolls-recipe.htmlI had a can of biscuits in the frig and I grabbed my grandmas old waffle iron (very old and ugly, but I love every burn it gives me), and brushed with a little olive oil. I added four biscuits at a time and gently lowered the lid. About 2 minutes (or less) I pulled them off. Drizzled with sugar free syrup, smeared with peanut butter, or sprinkled with cinnamon sugar, they are a tasty once in awhile treat. I remember reading about the Wafflerizer.. http://www.waffleizer.com/ Check out what else you can do and start waffling like a policitian! I am a dad, husband, and a food guy.. I love the idea of bringing people together and having real food. 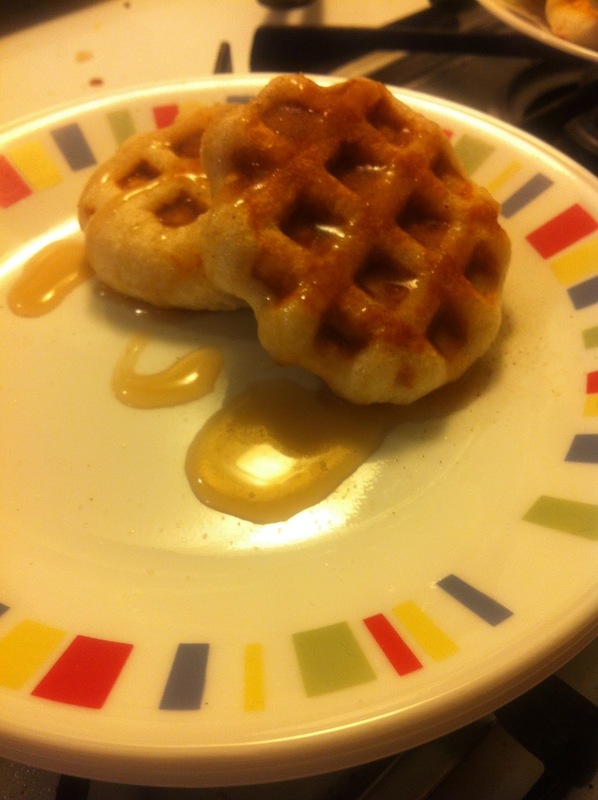 This entry was posted in fun, nostalgia, treat and tagged experiment, family, fun, Waffle. Bookmark the permalink.